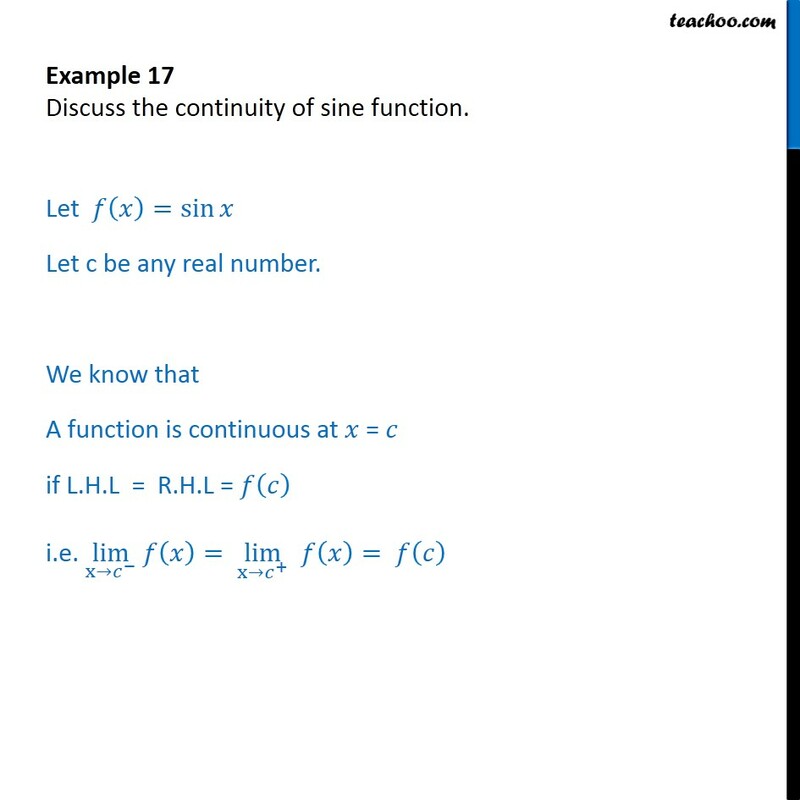 Example 17 Discuss the continuity of sine function. 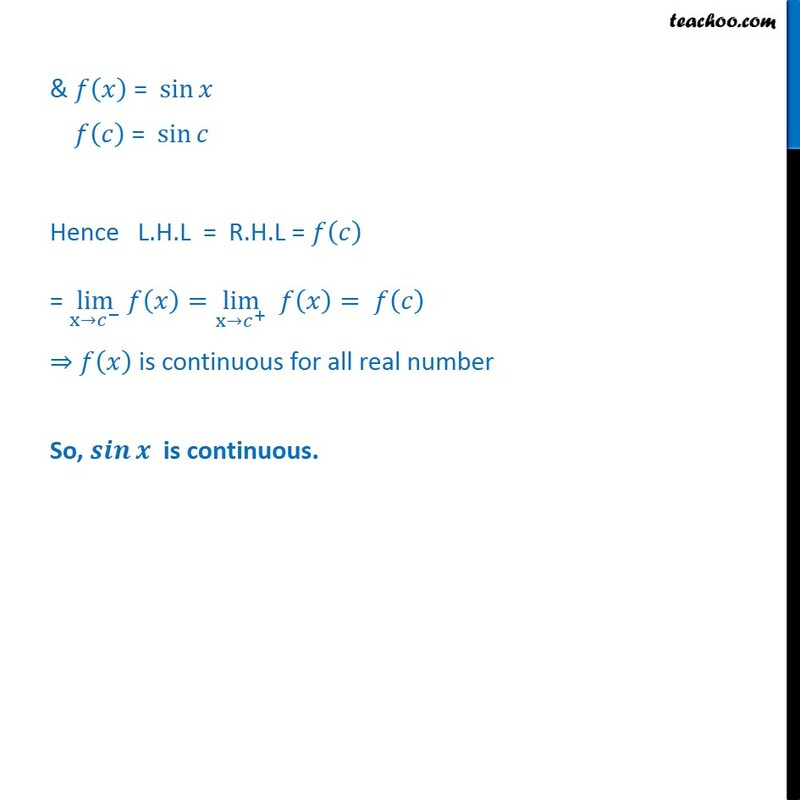 Let = sin Let c be any real number. 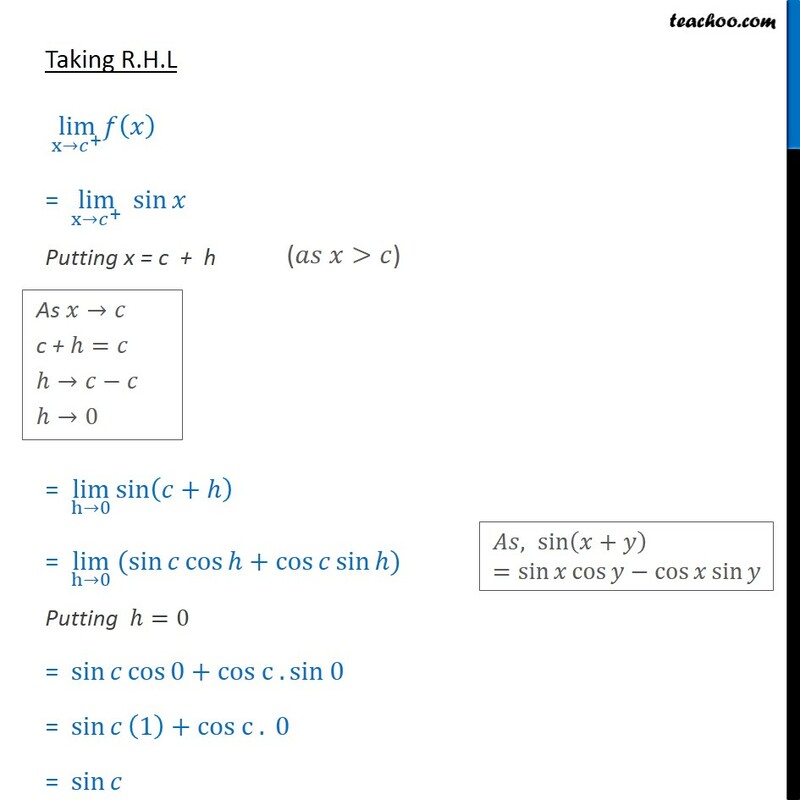 We know that A function is continuous at = if L.H.L = R.H.L = i.e. 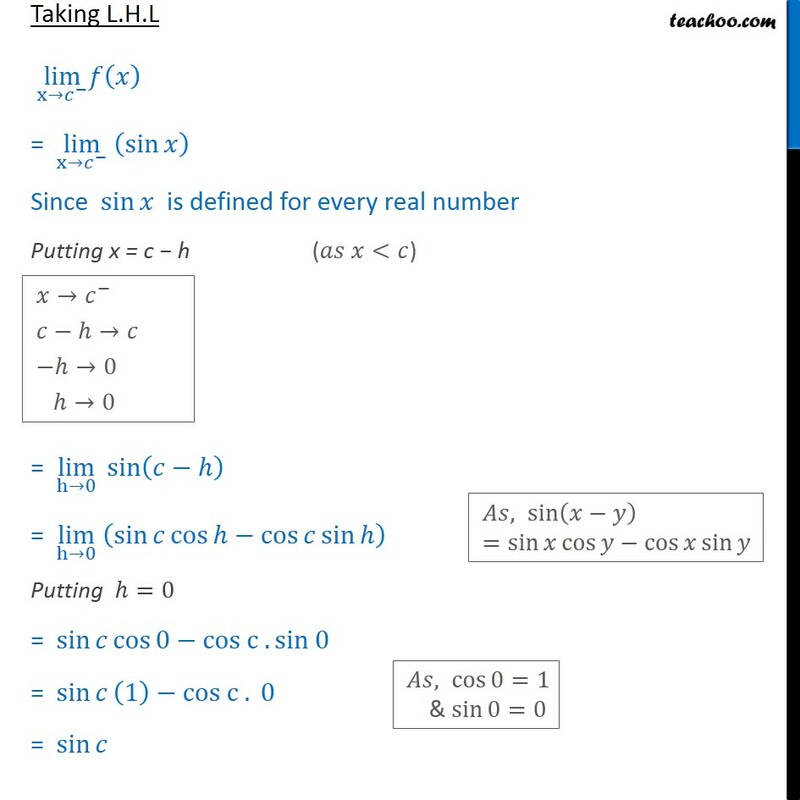 lim x = lim x + = Taking L.H.L lim x = lim x sin Since sin is defined for every real number Putting x = c h = lim h 0 sin = lim h 0 sin cos cos sin Putting =0 = sin cos 0 cos c . sin 0 = sin 1 cos c . 0 = sin Taking R.H.L lim x + = lim x + sin Putting x = c + h = lim h 0 sin + = lim h 0 ( sin cos + cos sin ) Putting =0 = sin cos 0 +cos c . sin 0 = sin 1 +cos c . 0 = sin & = sin = sin Hence L.H.L = R.H.L = = lim x = lim x + = is continuous for all real number So, is continuous.